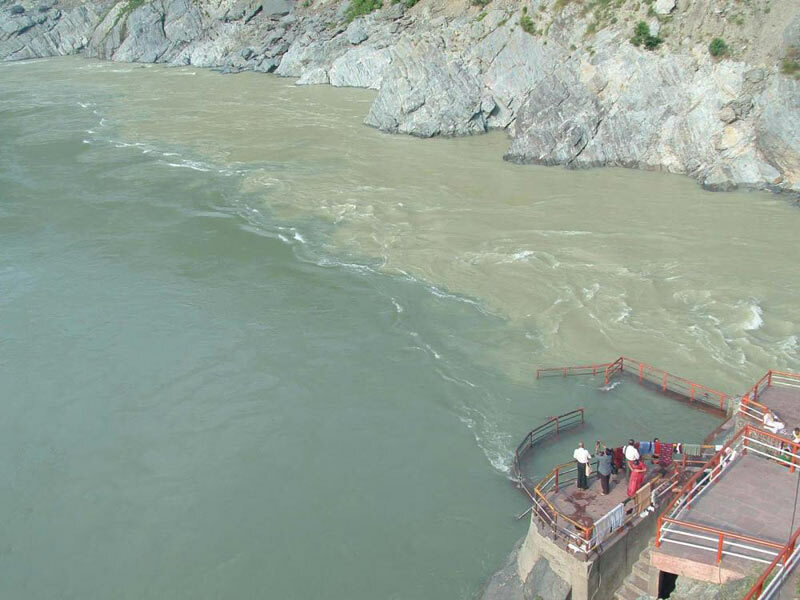 The River Ganges Is The Most Sacred River In The Hindu Religion And Its Source At Gaumukh On The Gangotri Glacier. Ganges Temple At Gangotri Is One Of The Holiest Destinations For Hindu Pilgrims & Is Blessed With Spellbinding Scenic Beauty. Every Year, Countless Tourists From Across The World, Visit Here In Search Of Peace And Tranquility. Our Trek Takes Us To Gaumukh (Translates To Cows Mouth), The Mythological Source Of The River Ganges, Which Is At The Snout Of The Gangotri Glacier. 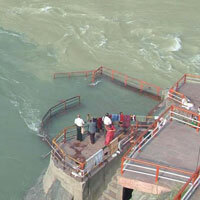 At Gaumukh, Blocks Of Glacier Fall Into The River And Pilgrims 'Cleanse Themselves Of Their 'Sins' In Freezing Water. 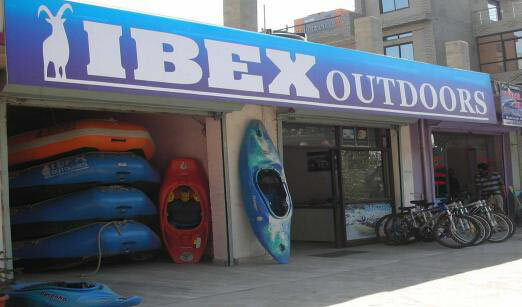 On Arrival, Pickup From The Delhi International Airport And Transfer To Hotel. Haridwar Is The Gateway To The Four Pilgrimages Places (Yamunotri, Gangotri, Kedarnath & Badrinath) In The Garhwal Region And Is Located On The Foothills Of Shivaliks. On Arrival 25 Km Drive To Rishikesh. Evening Free. Today, You Will Drive To Gangotri Via Tehri & Uttarkashi. The Road Quickly Leaves The Plains And Winds Its Way Through The Foothills Of The Garhwal Himalayas To Reach The Ancient Capital Of Garhwal Called "Tehri". 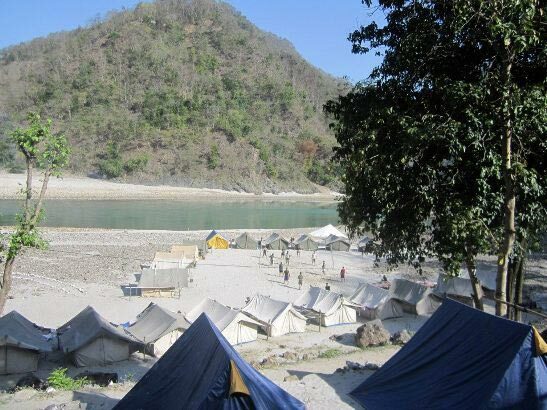 We Will Have Lunch In Uttarkashi, An Important Town Of This Area Mostly Serving To Indian Pilgrims. From Uttarkashi The Roads Climb Rather Quickly And Steeply Over Several Hairpin Bends And The Roaring Bhagirathi River Always Giving You Company. Gangotri (3140 M), With Its Famous Goddess Ganga Temple Is Inhabited During The Summer Months. Day 4: Gangotri - Bhojbasa (3800m) in 5h. An Easy Walk (13 Km Trek). We Progress Along A Picturesque Trail Initially Passes Through Dense Deodar Forests Before Emerging Into The Wide Unforested Valley. It Then Carries On To A Small Isolated Forest Of Pine At Chirbases, Literally The Abode Of Pines. Day 5: Bhojbasa - Gaumukh (3900m) - Tapovan (4450m) in 4h. Day 7: Tapovan - Chirbasa in 5h. In The Morning, Trek Down To Chirbasa. Chirbasa Is A Nice Place For Camping, Covered By Thick Forest Trees. Enjoy The Evening In The Shadow Of Many Peaks. Day 8: Chirbasa - Gangotri in 4h. Morning Drive Down About 72 Kms To A Small Village Called Lata, From Where We Begin Our Second Part Of The Trek, The Hindu Devotees Used This Pilgrimage Trail Very Regularly During The Times When Roads Didn'T Exist And People Used To Visit All The Four Holy Temples On Foot. The Trek From Here To Belak Is Over A Well Laid Out Path Passing Through Thick Forests. The Path Climbs Gradually Into A Side Valley With Trees Of Oak, Pine, Fir And Rhododendrons Lining The Entire Path. Belak Is A High Mountain Meadow With Summer Settlements Of Villagers From The Valley Who Move Up With Their Cattle For Grazing. Arriving At Belak By Late Afternoon. In The Evening We Explore This Beautiful Meadow. 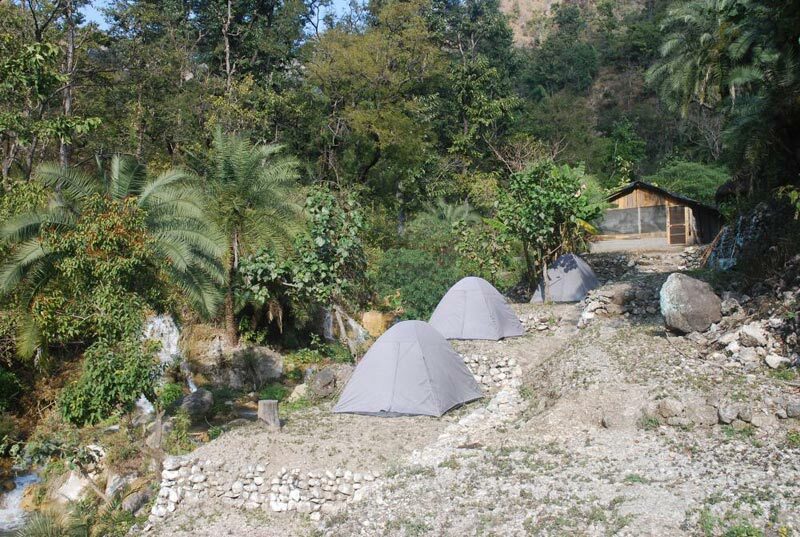 In The Morning After Having Our Breakfast We Will Trek To The Village Of Budhakedar, An Important Place In Garhwal Which Houses The Old Temple Of Kedar (Shiva). The People Of This Village Are Mostly Farmers. Enroute We Will Passes The Tiny Villages Like Pangrana, Jhala & Agund. Trek To Baghi Chatti. On The Way We Will Come Across The Beautiful Village Of Benakhal, Situated At The Top Of A Hill, With Another Impressive Temple. From Here The Walk Is Almost Level Through A Number Of Villages, Which Give Us An Insight Into The Way Of Life Of These Mountain People. Afterwards We Will Have A Steep Climb Through The Forests Of Rhododendrons And To The Beautiful High Meadow Of Baghi Chatti. The Views Of The Mountains From This High Meadow Are Breathtaking And On A Clear Day One Can See Snowy Peaks Of The Distant Himalayas. Enroute Visit A Sheep And A Rabbit Farm Run By The Government. From Here We Will Continue Our Trek Over The Road To Reach Ghuttu, A Small Village Very Popular With Trekkers And Pilgrims. 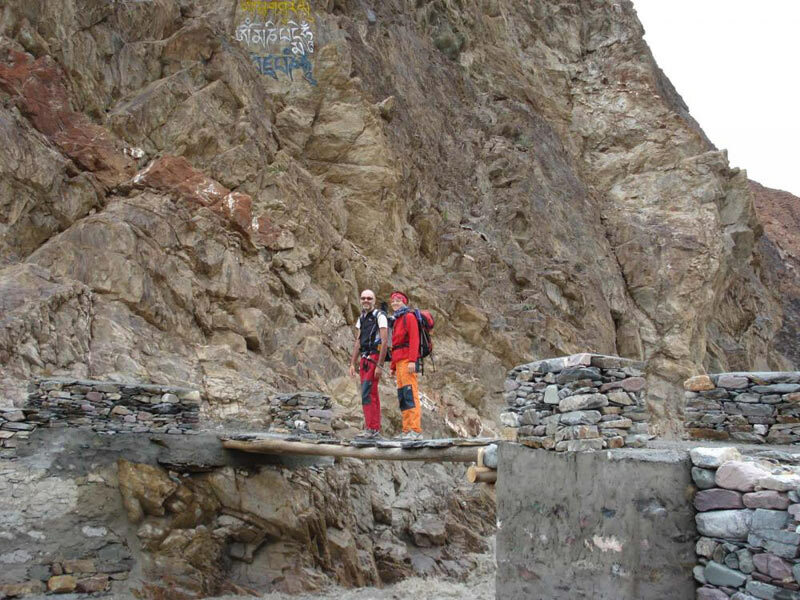 Some Of Whom Still Use This Route To Go To Kedarnath Temple. 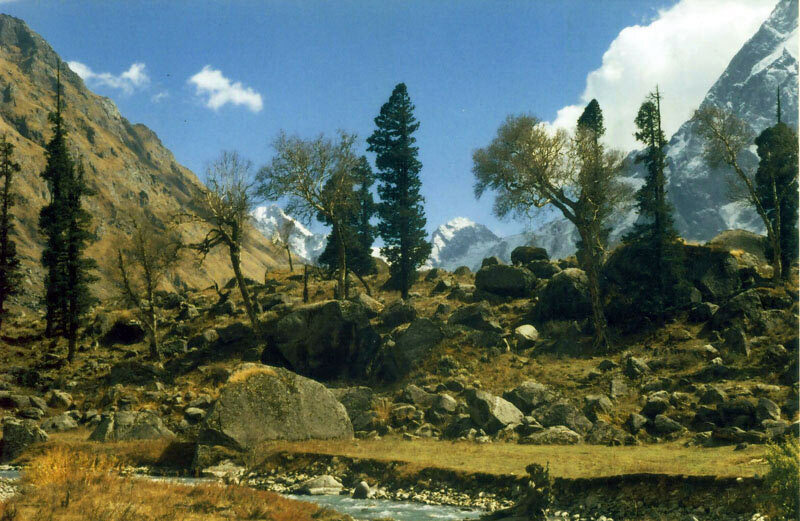 Trek To Panwali Khanta, Another High Mountain Meadow. From Here We Will Be Able To Have Magnificent Panoramic Views Of The Entire Garhwal Himalayas Including Gangotri, Kedarnath, Kedardome, Chaukhamba, Trisul, Kamet, Nanda Devi And Many Other Peaks. We Climb Up To Khinko La (3500M), Then Descend Through A Magnificent Tropical Forest And Rice-Fields. Overnight: Tent. Morning Trek Towards The Temple Village Of Triuginarain (1,982 M), Where As Per Hindu Mythology, The Lord Shiva Got Married To Goddess Parvati. The Village Houses An Ancient Temple Where The Marriage Took Place And Is An Important Pilgrimage Spot For Hindus Who Visit This Temple From All Over The Country. Even The Marriage Fire Still Burns In The Temple And It Has Been So For The Last So Many Centuries. The First Half Hour Of The Walk Is Through A Forest Of Rhododendrons Descending Gradually. From Here On The Walk Is Over The Long Panwali Ridge With Several Ascents & Descents, Offers Panoramic Views On Either Side And Is An Experience In Itself. At The End Of The Ridge The Path Descends Steeply To Maggu Ki Chatti, An Abandoned Village, Which Was Used By Pilgrims In The Earlier Days. A Steep Descent Through A Very Thick Forest Brings You To Triuginarain. Trek To Road Head Of Sonprayag Then 15 Minutes Drive To Gaurikund. The Next Part Of The Walk Begins Through The Narrow Lanes Of Gaurikund And The Entire Walk Of 14 Km Is Dotted With Shops And Tea Stalls Which Offer Respite To The Pilgrims Who Brave Out The Five Hour Steep Climb To Kedarnath. The Walk Is Over A Well Laid Out Path And Quite Steep At Certain Bends, The Noisy River Mandakani Flows To Your Right All Along The Trail. Kedarnath, Is A Huge Temple Village And Right In The Center Stands The Ancient Temple Of Kedarnath. Day At Leisure To Explore This Holy Place. Drive To Rishikesh. On Arrival Rishikesh Transfer To The Hotel. Evening Free For Personal Activities. Morning Free In Rishikesh To Visit The Ashram, Temples And Meditation Centers. Afternoon Transfer To Haridwar Railway Station To Board Shatabdi Train To Delhi. On Arrival In Delhi Transfer To The Hotel.